Bikini Wishlist. cowbiscuits | UK Lifestyle, Style and Beauty Blog. 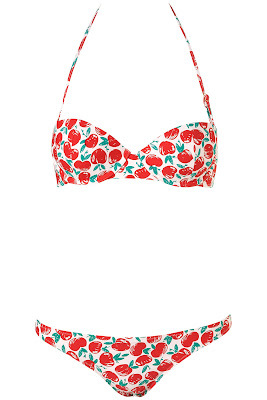 : Bikini Wishlist. Love the apple print one! I reallyyyyy like the Juice Couture one but £78 for a bikini... craaaaaazy money!! Oh MY! I especially love the first one and the juicy couture one! Also the spotted swimsuit *swoon* I LOVE bikinis - Have you seen the Betsey Johnson ones? Dangerous! There's some gorgeous ones on ASOS and I always seem to favour the pricey ones, damn. Also, they always use the same girl to model the bikinis! Her body doesn't even jiggle when she walks, legend. i've been looking for bikinis too, & i have just done a wishlist post too! i love the Juicy one, so nice! & great use of bikins under baggy tops! i just ordered a new bikini using my groupon asos voucher :) ! I love the black all-in-one, am tempted to go for that rather than bikini this year. So many cute bikinis! I cant wait to buy some new ones for spring/summer. THe first one is my favourite!! I cant wait for summer! Those bikinis are lovely. 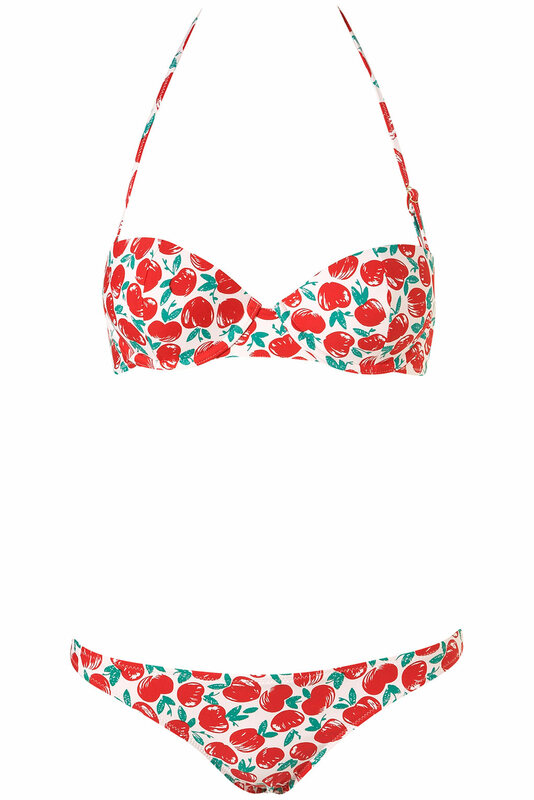 The apple print one is simply adorable! I love bikinis with bright patterns, though every time I go out to get one, I end up bringing lots of black swimwear home.